Another week and Privateer keeps knocking out the minis! Lets get right to it. Perhaps no man so perfectly expresses the spirit of the Great Crusade as Servath Reznik, a living weapon of his faith. For Reznik the world is a crucible of flame, and humanity stands at the precipice of annihilation. 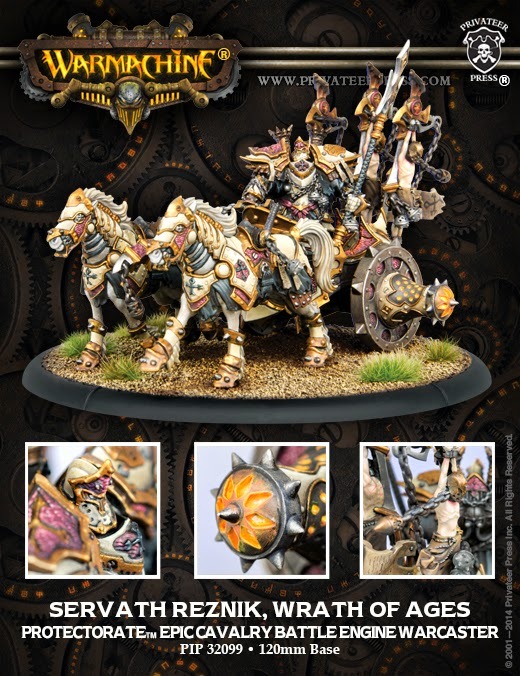 He is a furious legacy of the ancient world, a pitiless instrument of Menoth’s divine justice and the reckoning of heresies from ages long past. Woe to those who would defy the True Law! 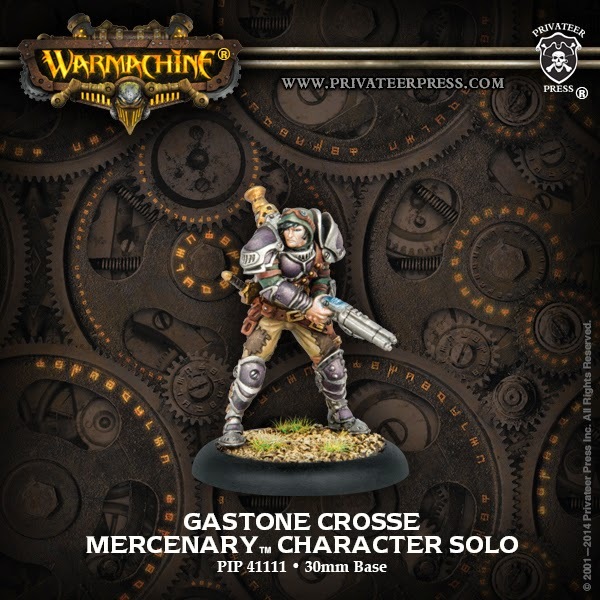 A natural at hit-and-run tactics, the bitter, reckless Gastone Crosse prefers to strike from a distance, whether with his powerful mechanikal pistol Gypsy Kiss or the cannons of his warjacks. He lends his arcane power to extending the range of his battlegroup’s arms, while each kill provides them with a burst of arcane speed. Elara, Tyro of the Third Chamber, has been forged into the perfect instrument for the Retribution of Scyrah’s war against human arcanists. She stands prepared to face any danger in service to the Retribution. As she darts from foe to foe, each kill imbues her myrmidons with power they in turn unleash against key targets. Having honed his skills through years of piracy upon the Meredius, Aiakos moves with his battlegroup like a specter of death both at sea and on land, striking down foes with wicked effectiveness. Nowhere is his cruelty more apparent than in his weapon of choice, a chained harpoon he uses to impale his victims before reeling them in to deliver the death blow. 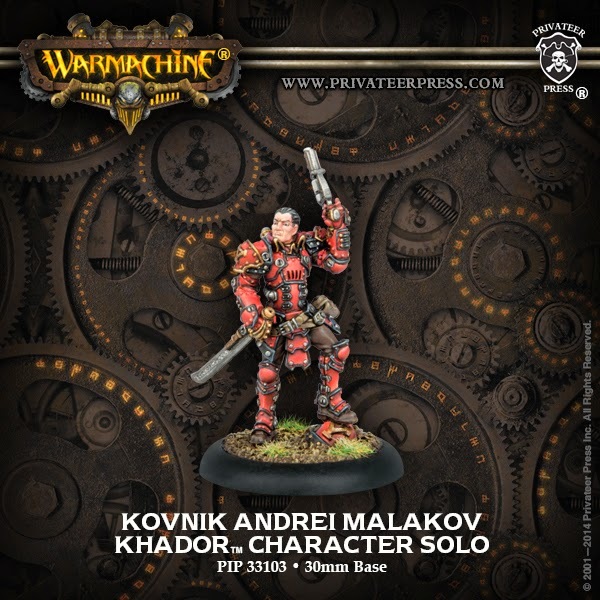 A rising star in the Khadoran Military, Kovnik Andrei Malakov pushes the warjacks under his control to crush those who dare oppose him. His desire to succeed regardless of the consequences sometimes demands a high cost from his men and machines, but to Malakov, such is the price of victory. 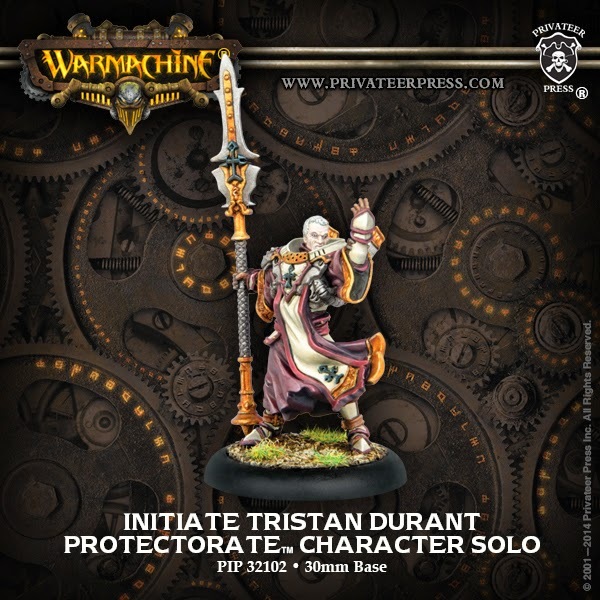 Initiate Tristan Durant is quite young and far from mastery, his face still bare of the mask of authority worn by full priests and his warcaster armor an unfamiliar burden. Yet Tristan stands ready to lead his battlegroup in defense against any who threaten the faithful of Menoth. He is gifted with the ability to see beyond the physical and intends to relentlessly pursue those deemed heretics or blasphemers. Once this warrior of the creator locates his quarry, he will not hesitate to cleanse the battlefield of them with the might of his blessed warjacks and holy fire. 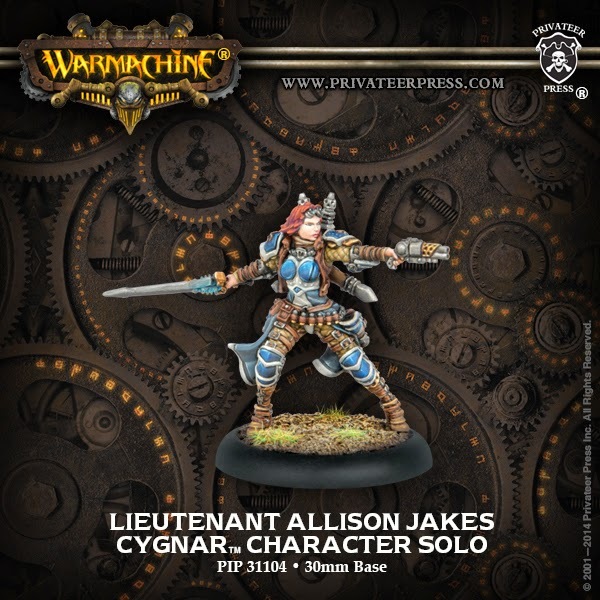 A consummate duelist, Lieutenant Allison Jakes moves across the war-torn battlefields of western Immoren with deadly poise, striking down foes and then darting away in preparation for her next attack. She utilizes her arcane abilities to impart the same fluidity of movement to the warjacks in her battlegroup, granting them a burst of speed at the critical moment or imbuing them with the grace of a duelist. ~Reznik is one AWESOME miniature! Have at it folks!